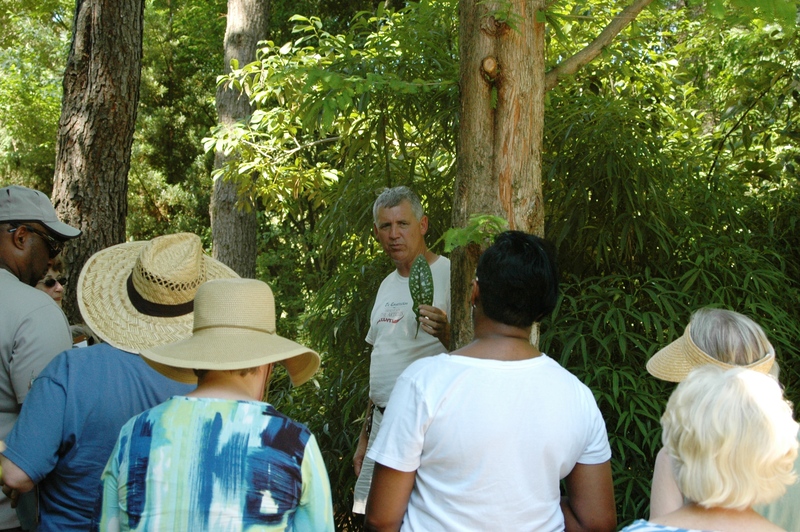 Tony Avent hosted Plant Delights Nursery’s Let’s Talk Plants Garden Walk yesterday at Juniper Level Botanical Gardens. Despite a steamy high of 93 degrees, the turnout was great and the enthusiastic gardeners kept Tony answering questions on a vast and varied group of topics. Juniper Level Botanical Gardens turned 25 years old this year! Plant Delights Nursery uses our own Juniper Level Botanic Garden (USDA Hardiness Zone 7b) to research the aesthetic display of ornamental plants, perform evaluations, identifications, and educate all levels of interested gardeners about the diversity of plants from around the world. 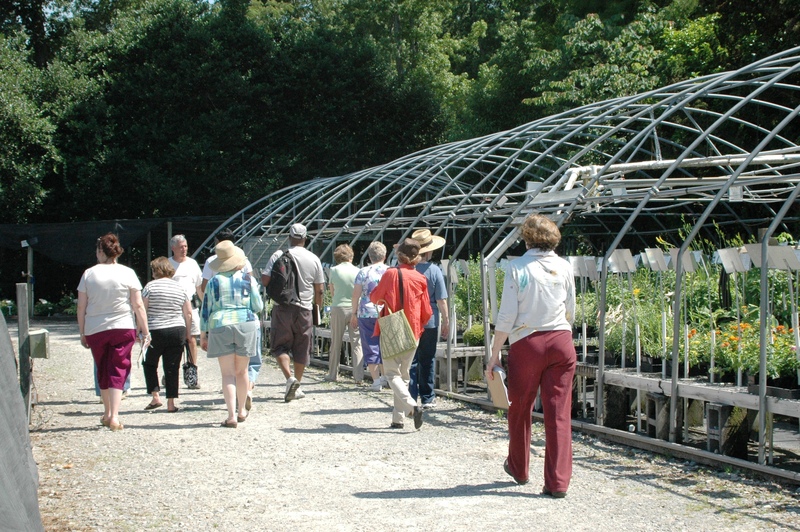 Our garden division firmly believes that a superior exhibition garden is one of the best ways to educate gardeners about plant diversity and get them excited about potential uses of plants. We rigorously evaluate and study plants in cultivation to determine their adaptability to our climate, ornamental suitability, and potential to become invasive. With over 18,000 types of plants, our gardens are an endless source of valuable information and provide an awesome year-round display. Check our schedule for other learning opportunities! 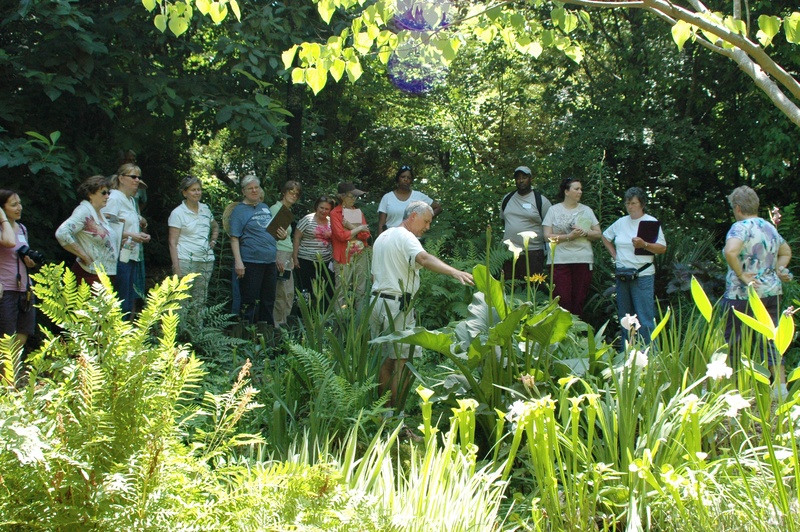 We absolutely love to meet gardeners of all levels and hope to see you at one of our future classes or open houses. This entry was posted in Garden Tours and tagged Plant Delights Nursery by Plant Delights Nursery Staff. Bookmark the permalink. You have me curious now, so what is “A fun plant fact shared about pulmonaria”? I have several different kinds.